Set against a harmonious blend of woods and landscaped grounds, our ideal location is close to many Newport News landmarks including Fort Eustis, NASA, Langley, Canon, Ferguson Enterprises, Peninsula Town Center Mall, Christopher Newport and Hampton Universities, and Newport News/Williamsburg International Airports, as well as to I-64. Shop for dinner at International Food Market, or take a lap with the dog around Nicewood Park. When you feel like taking a night off from cooking, you can grab a pint and a burger at Craft 60 Ale, or bring home some delicious takeout from Bamboo One Restaurant. 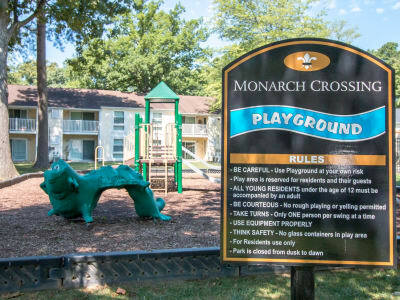 Monarch Crossing Apartment Homes positions you perfectly for enjoying the best of Newport News, VA. We’d love to show you around the neighborhood. Schedule your tour today of our pet-friendly apartments near Hampton Roads.